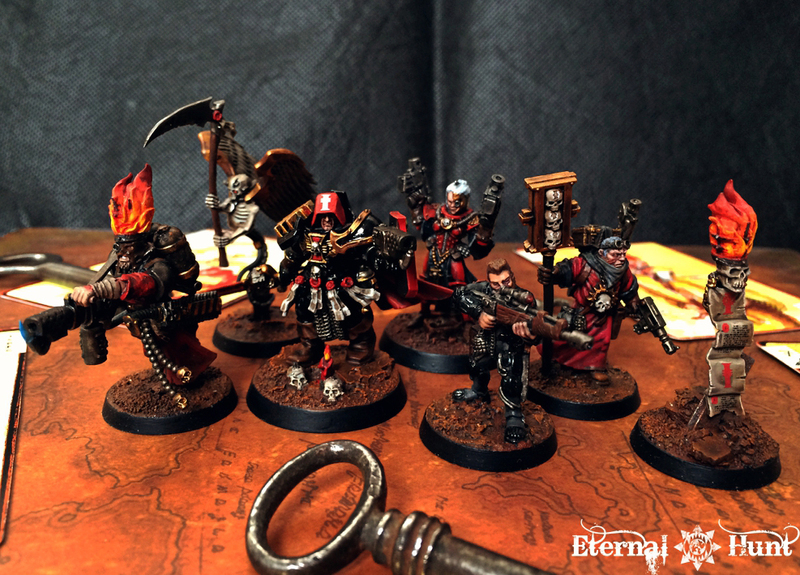 Various members of the most holy and exalted Velsian Ordos of the Emperor’s Inquisition and their affiliates as well as some of their enemies, dastardly recidivists and heretics, all. INQ28 has become such a fascinating way for me to explore the world of Warhammer 40k away from the battlefield: The kind of setting jokingly referred to as "domestic 40k" by Dan Abnett: The world in-between the cracks, where a shadow war is being fought for the soul of the Emperor. A world equally informed by Dan Abnett's Eisenhorn and Ravenor novels and by the grimdark and gothic madness epistomised by artists like John Blanche or Wayne England. 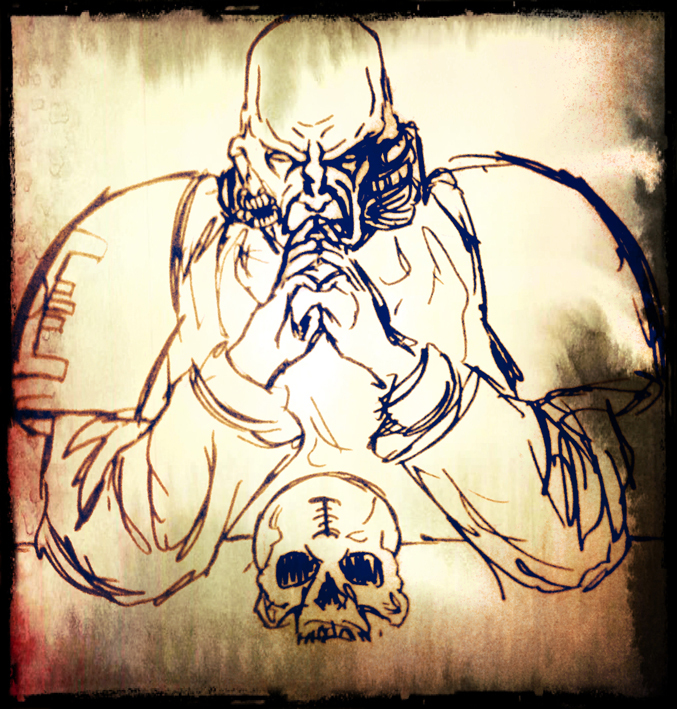 To me, INQ28 is not so much a ruleset as a state of mind: A way of exploring the setting and the lore behind the 40k universe and a way of building and creating characters in that setting. It's also a great way of dipping my toes into dozens of different smaller projects at the same time: Building retinues and warbands instead of entire armies not only allows for lots and lots of variety, it also provides the breathing space to turn every model into an actual character, instead of a mere playing piece. And while Dexter is on the opposite side of the planet from me, we keep exchanging ideas, both about our characters and about the overarching lore behind our setting, on a regular basis. This has proven to be wonderfully inspiring, and there's more than one case of models (and characters) being informed by the greater setting we have come up with. So even if we should never get together for an actual game of INQ28 ( I shouldn't hope so, but it's possible), the characters we come up still draw from the world building we have put into the setting. 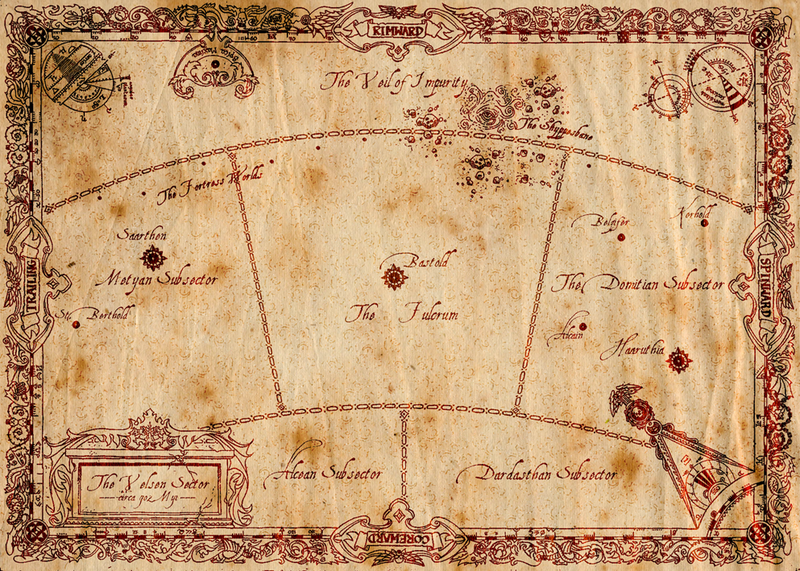 And there are also several big and small narrative arcs that already define the Velsen Sector: The Rise and Fall of the Lamtron Trading Conglomerate and the derring-do of Karis Lamtron, the scion of the House. The political machinations by powerful nobles and the Mandelholtz House of Imperial Finance to gain political leverage in the light of the sector governor's failing health. The pursuit of that most devious and dangerous splinter sect of radical Thorians, "The Fragmentarians". And, of course, the terrible truth behind the life - and death - of Velsen's own sacred martyr, Sabasto the Sword-Saint. All of this may or may not be revealed in the future. In any case, there's a lot going on that informs my creation of new characters for this setting. So allow me to begin by sharing some of the warbands I have come up with so far. 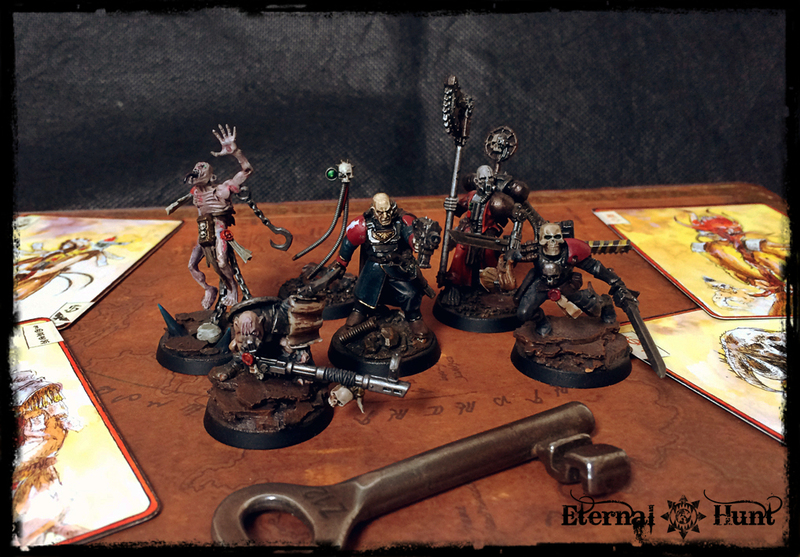 From left to right: Arco-flagellants Molotov XXVIII and Enoch 451 | The Mandalorian (a bounty hunter and blatant shout out to Star Wars) | The Daemonhost Zalambur | Inquisitor Lazarus Antrecht | His servo-skull familiar, Mercutio | Elias Cobb, diminuitive twist sniper | Magos Explorator Hiram Zeiss | Operative Sigma, a former Ordo Assassinorum Operative turned around by Antrecht | Klytus, Chrono-Gladiator. Back when I first built this warband, I really wanted to create a radical Inquisitor, and Antrecht's merry collection of freaks reflects that: Antrecht has gone very far in his pursuit of a possible sector-wide conspiracy of a shadowy faction know as "The Fragmentarians", and he has few lines left to cross and even fewer friends left to lose (think the late-era Eisenhorn, and you're not far off the mark). Which is why Antrecht's warband mostly consists of freaks and monsters: There really aren't too many respectable characters still prepared to throw in their lot with the rogue Inquisitor. Speaking of which, you can always take a closer look at the detailed backstory of my INQ28 characters here on my blog, as long as you don't mind reading through huge walls of text Always remember, though: Everything you have been told is a lie. For now, Antrecht and his retinue are a good place as any to start this thread. So please let me know what you think and stay tuned for more! Edited by KrautScientist, 28 February 2018 - 08:18 PM. I think I need to get into INQ28 sometime! Very much looking forward to seeing more closeups. One of the most interesting things about INQ28 is that every creation is unique. 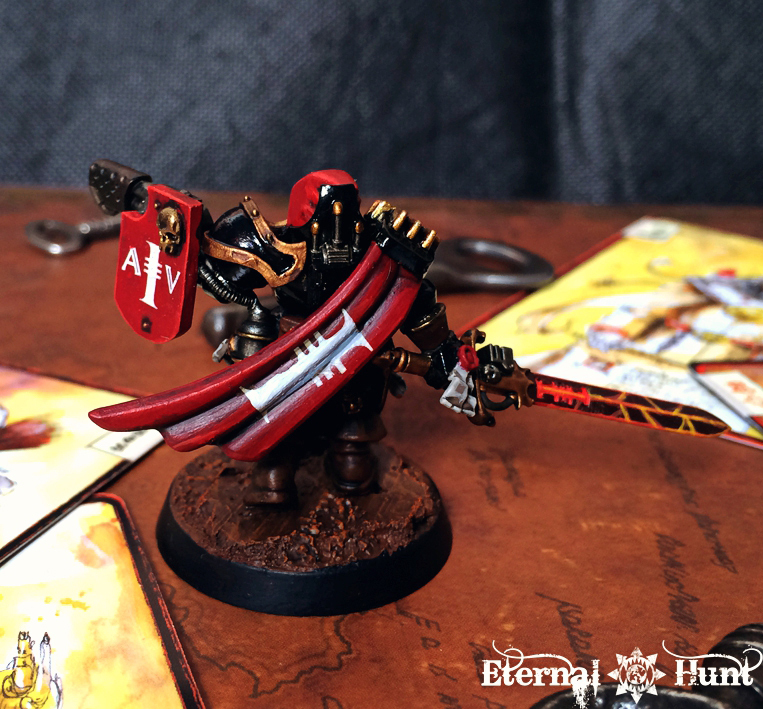 I love how your models are your own creation. Please continue to share your work. Cheers, Shovellovin! Yes, INQ28 allows for creating truly individual models (and characters). At the same time, making sure those models all tie together into a given warband or retinue can be just as interesting -- it's a challenging balance to get right, but also a very rewarding experience. 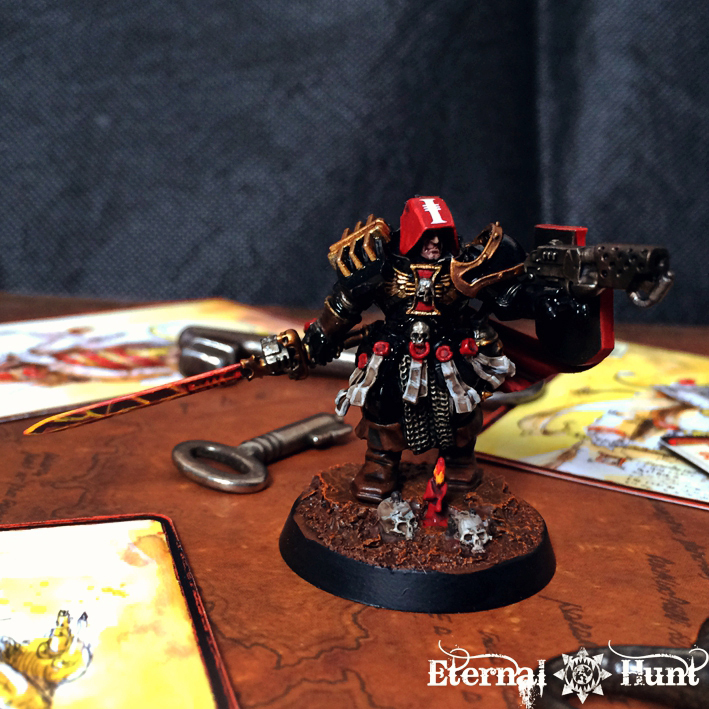 So, nobody else seems to have to say anything, unfortunately, so let's proceed to the next Inquisitor retinue. 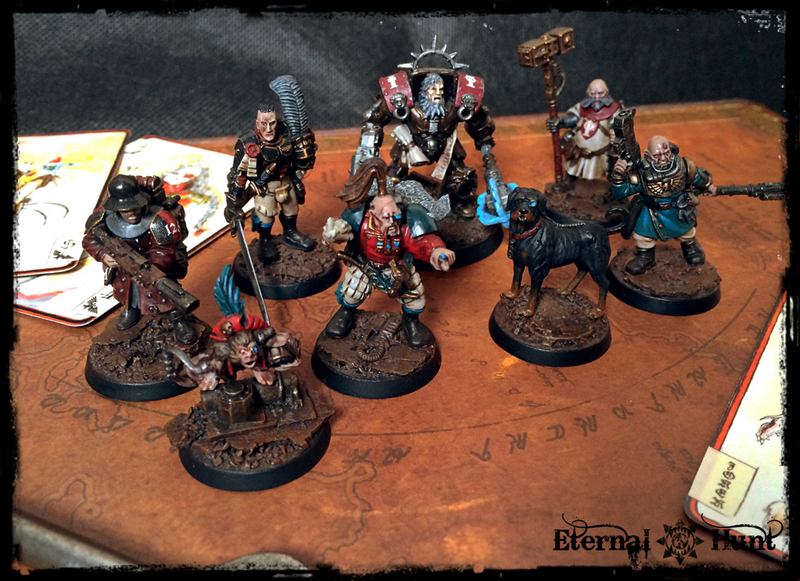 This one was actually started at the same time as Inquisitor Antrecht's warband (seeing how the Inquisitors are former friends), but has taken far longer to complete -- in fact, the warband is still missing its final member. Where Inquisitor Antrecht's retinue was an exercise in creating a radical warband, Inquisitor Gotthardt and his operatives follow a slightly more swashbuckling, picresque approach: I wanted a colourful group of characters, channelling some of the classic archetypes from the Inquisitor rulebook -- in fact, you can clearly see how several of the models were directly inspired by artwork from the book, or even by actual 54mm Inquisitor models from back when the game was released. Trooper Salvador "Sal" Koltz, a lowbrow, yet surprisingly resourceful, veteran from the 126th Haaruthian Dragoons, bound to his former commanding officer by a debt of gratitude. Cpt. Esteban Revas, the aforementioned officer: Former regimental champion of the 126th Haaruthian Dragoons, publically dishonoured for doing an honourable thing. 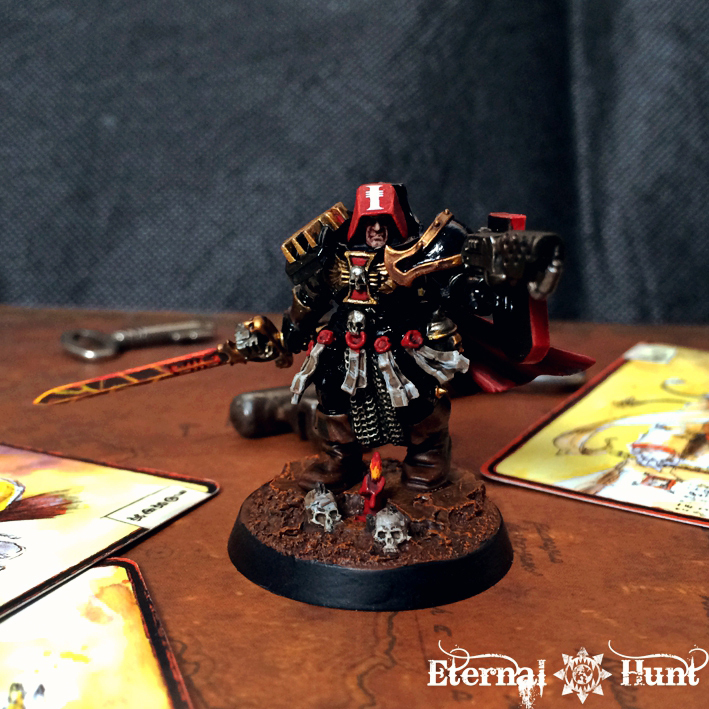 Inquisitor Erasmus Gotthardt, an Inquisitor of the Ordo Hereticus in uneasy pursuit of his former friend, Inquisitor Lazarus Antrecht. 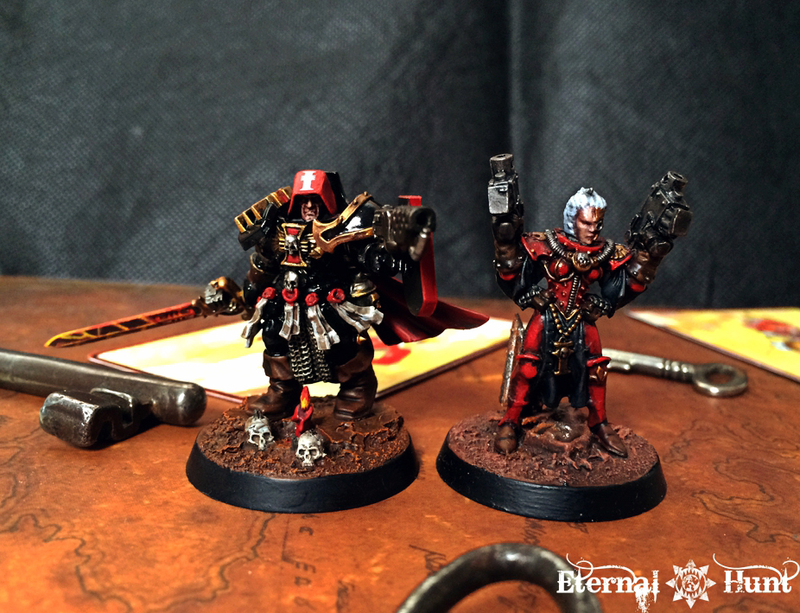 Father Endric Harlan, a Drill-Abbot of the Velsian Ministorum, and a survivor of the Quelling of St. Berthold, a highly classified Inquisitorial operation. Iskander Gagarin, flamboyant Rogue Trader and merchant-prince. Claims to be a scion of one of the very first families to have sailed into the Great Void Sea, even before the age of Unification. Remus Ingram, former member of the Riftyr Hiveguard and a hard-boiled investigator. Not pictured, and yet unpainted: Elisha Gorgo, scion of the House of Mordina-Gorgo and possessing strange powers of psykana. Good job. 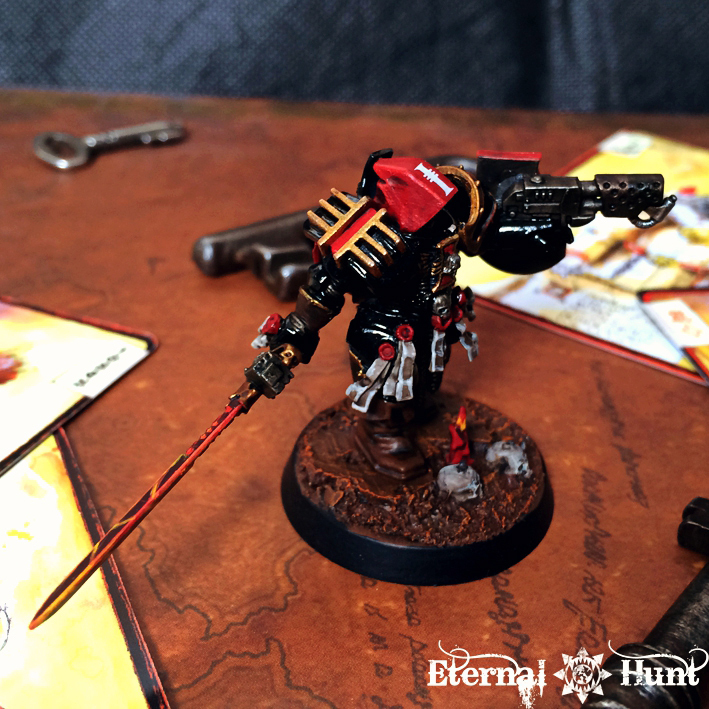 Is Inquisitor Gotthardt a cyborg, or merely wearing power armor? Utterly, utterly awesome I envy your imagination, skill and time to create such a thing as this in your hobby life. I've been looking forward to this since you said you were gonna do it, having just taken my own first steps down the Inquisimunda route. Out of interest, how do you come up with names? I'm useless at coming up with names for my own dudes. Are those Empire cannon bits on Gotthardt's pauldrons? I do believe they are! (I have some in my bitz box. Now inspired, they may get used!). And the names are fantastic. That one is called Ingram reminds me of a friend who always used to name RPG characters after a place name and a weapon, perhaps with a letter tweaked here or there. Thanks a lot, guys! I really appreciate the kind words! @ Bjorn Firewalker: Gotthardt originally began as a character inspired by Witch Hunter Tyrus -- hence the massive golden armour. So he is a human wearing armour. Interestingly enough, it has since become a part of his backstory that his suit of armour actually covers a fairly frail body, as Gotthardt has been subjected to various Inquisitorial questionings himself, being suspected of still consorting with the rogue Inquisitor Antrecht. If I ever get around to it, I want to create a version of him out of his armour: A robed, thin, frail older man. @ Drakuur: Thanks a lot! That is very nice of you to say! I will happily admit that steering away from established mainline 40k tropes takes quite a bit of training: At first, everyone wants to do Space Marines and heavily armed characters in INQ28, and it takes a while to adjust to the fact that this is a setting about more "human" characters, with a lower power level and a bit more subtlty. It's definitely worth it, though! I also tend to write down names I like whenever I come across them. That helps, too. @ Calyptra: Indeed, those are Empire cannon bitz. Still had them from the old sixth (?!) edition WFB starter box. Well spotted! Oh nice you started your inq28 thread! Where is that dog model from? Yeah its an amazing model i might get one myself! 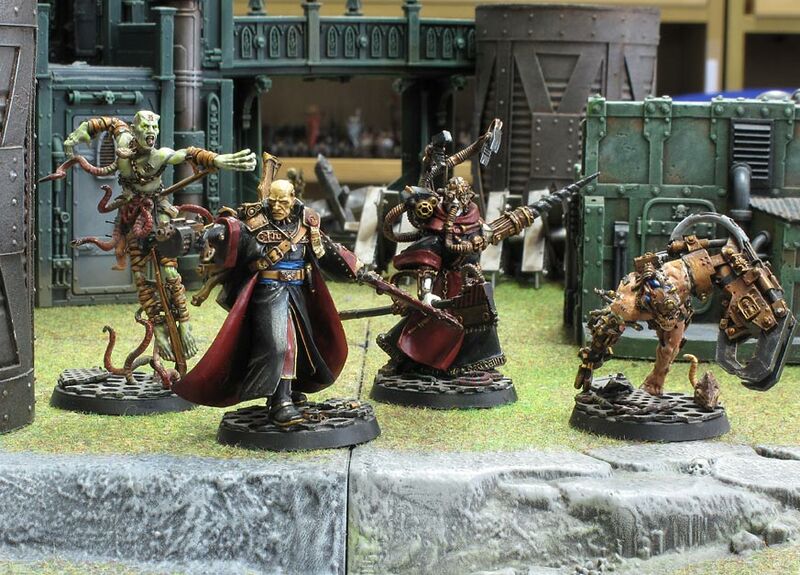 Also i didnt think it was weird they didnt have a good dog i gave up a couple of months ago to find pet models on the GW site but i hope the new necromunda pets that are coming will change that! Anyways is there a place where i can find more info on the velsen sector? Wow, some truelly mad creations there. They fit right in the setting! The Daemon host is especially disturbing....as is the cyber dog in the second group. I don’t know why, but I feel his tail should be docked. Oh and the head on your Inquisitor Antrecht is perfect. Chaos Lord one? 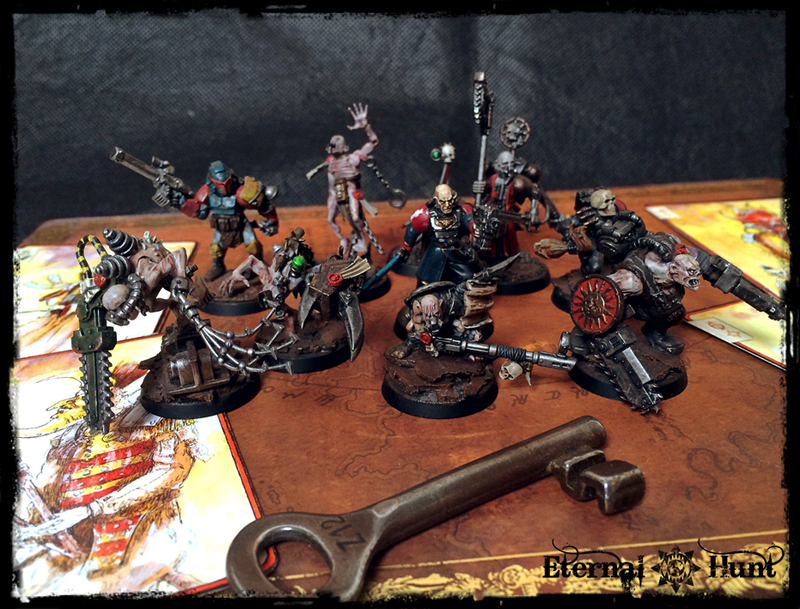 Man, I still remember way back when you posted some of these miniatures on DakkaDakka as you built and painted them. What a blast from the past. I hope many more great ones are to come! I always love these inquisitior logs, always so full of character. And now I get to see that from one of my favorite folks here? Double win. It's the most concise and allows for much more variety than most of the other rules I've seen. In regards to your INQ28 Warbands, Kraut... they looks great as usually and you've really brought the character out in each one. Do you intend to play or is this just exercise in model building? Again, thanks a lot for the feedback, guys! @ TURBULENCE and DuskRaider: Cheers, guys! 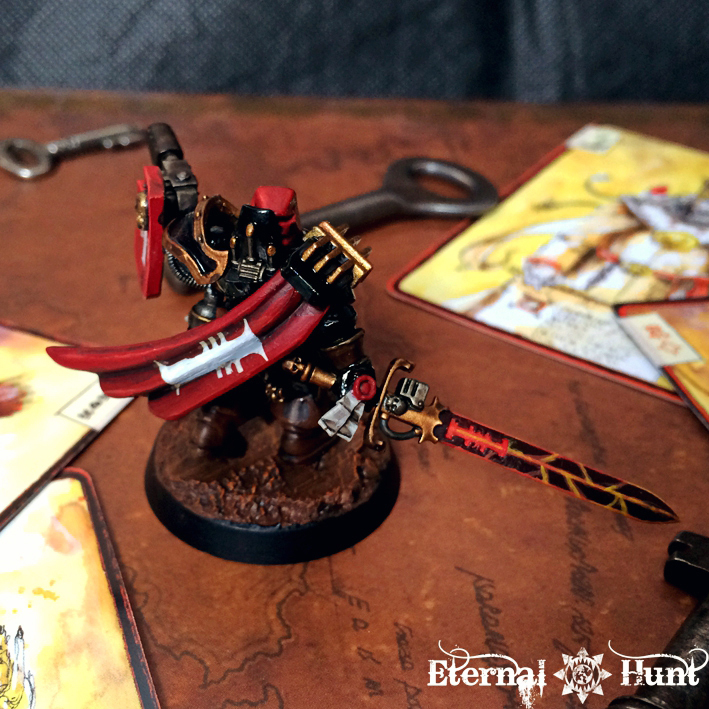 As for the question of how to assemble an INQ28 warband, I'd like to point out that the rulesets are only one part. 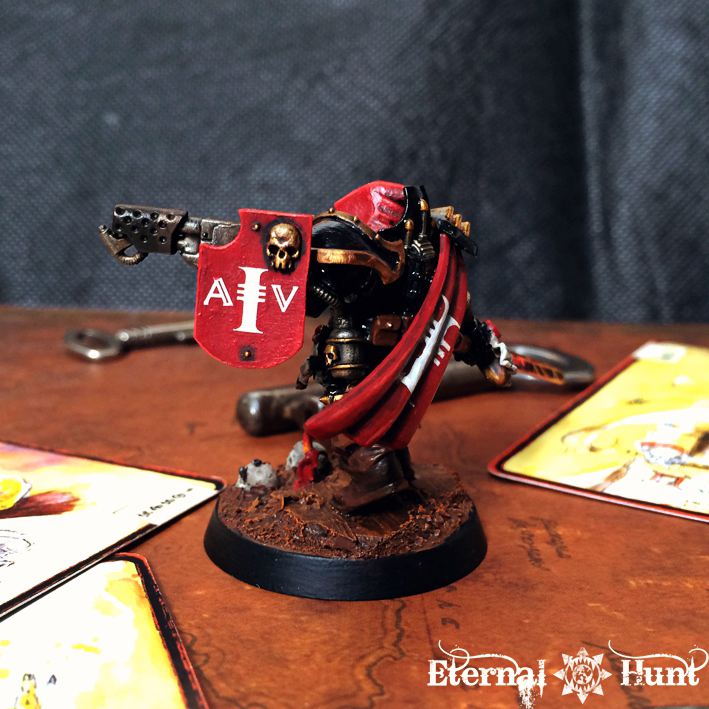 Far more important, in my opinion, is to realise that, while INQ28 basically allows you to come up with any character you want and, since the setting deals with the war behind the front lines, so to speak, and in the domestic part of 40k life, there are some archetypes that are more appropriate than others. This can be both the settings greatest boon (because it allows you to bring out characters we never get to see in 40k proper) and also a limitation (because, say, a squad of Space Marine Devastators doesn't really have a place in INQ28). Therefore, I'd say the most important thing is to get stuck in with the background material to work out which kind of warband you want to build and what is and isn't appropriate for the setting. 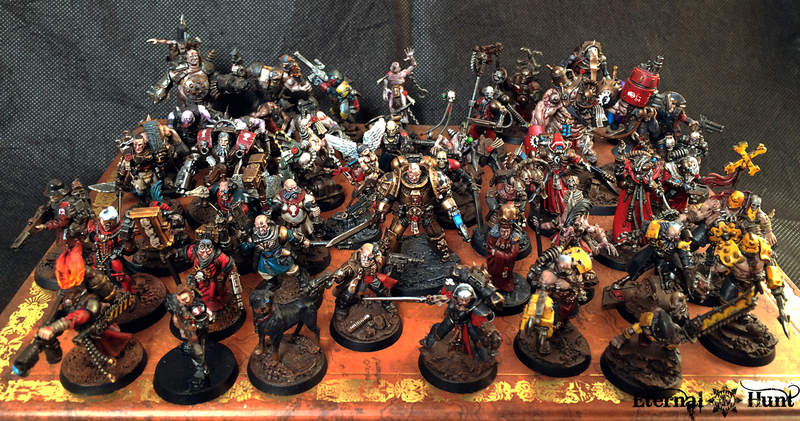 The best advice I can give is to take a look at forums like The Conclave and The Ammobunker, get your hands on as many of the old materials as you can (still available from the aforementioned places) and be inspired by the warbands and retinues on display. I also hear that the INQ28 groups and threads on Facebook and Instagram are all the rage these days, although I don't really care enough about those platforms to find out Anyway, hope this helps! Yet another Hereticus warband, although this time around, I really wanted to match the "classic" Ordo Hereticus look and feel as closely as possible. Think of the old John Blanche cover artwork for the Adepta Sorotitas Codex, or the artwork appearing in the old Codex Witch Hunters. That's the kind of look I wanted: One part Hieronymus Bosch, one part Hammer-horror, one part Spanish Inquisition. Inquisitor Arslan is a Puritan and a Monodominant, so he has very strict ideas on who is and isn't a heretic. So there's a sinister undercurrent to the warband, and also a certain kind of pomp and bombast -- the ostentatiousness of those perfectly assured in their righteousness. Brother Goderich the Pure a member of the Church of Redemption, serving Arslan as a vicious, albeit utterly loyal, attack dog. 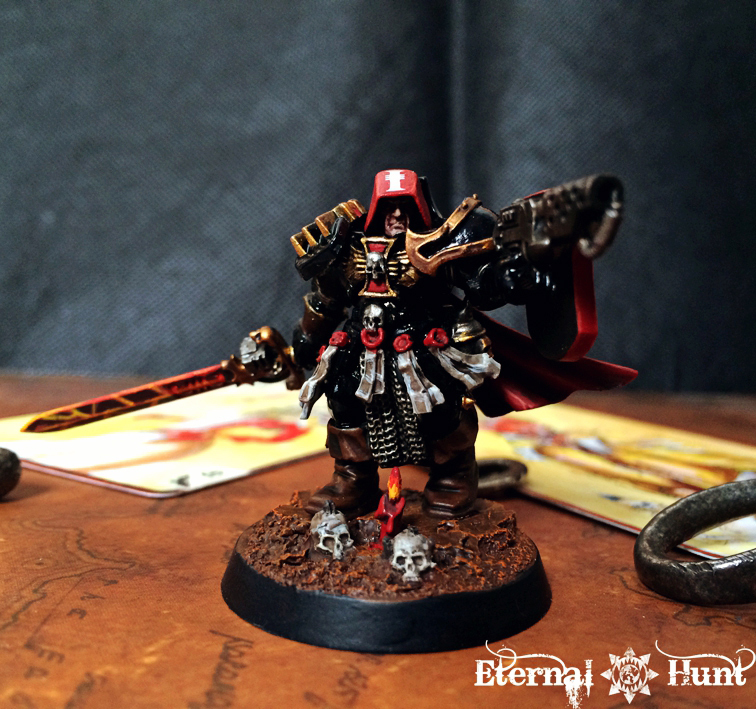 Inquisitor Nabreus Arslan, a powerful Witch Hunter of the Ordo Hereticus, known among the devout as "The Lion of Velsen". The Lady Chastity, a former Sister of Battle from the Order of the Martyred Blade, now serving as Arslan's Interrogator. The missing member is a female death cult assassin that I am confident I'll be able to paint before the end of the month. Edited by KrautScientist, 10 March 2018 - 02:25 AM. Using the radar dish as a shoulder pad on the inquisitor is actual genius. Oh damn i wasent the biggest fan of arslan when he was unpainted but man now that he is painted he is awesome! What are you next plans for inq28?